John Stevens was born in the Northamptonshire village of Aldwinkle on 8 June 1776. His parents were constant attenders at the Parish church where the ministry was undertaken by the evangelical rector Dr. Haweis who was also one of the preachers in the Countess of Huntingdon’s Connection. Under his ministry John was brought at an early age under conviction of sin but it was some time before he came to a sense of his forgiveness by God. At the age of 16 John moved to London to seek work in his trade as a shoe maker and here he began to attend the ministry of Richard Burnham, pastor of the Baptist Church in Grafton Street, Soho. He was baptised and joined the Church and remained in membership for a few years, he also began to preach the gospel. For a time, he returned to Aldwinkle and began to preach in various homes. In 1797 aged 21 he became the Pastor of a Baptist work in Oundle, Northamptonshire where he remained some three years before moving to St Neots in Huntingdonshire as Pastor for about six years. From St Neots John became the Pastor of the Baptist Church in Boston, Lincolnshire. Here his labours were extensive and greatly owned and blessed by God. In 1811, following the death of Richard Burnham, he was invited by the church in Grafton Street to succeed him. The work grew and as a consequence in 1824 a new chapel was erected in Meard’s Court and John Stevens ministered here until his death when the church comprised some 400 members. In all he received into fellowship of the church 926 people of whom he baptised about 737. 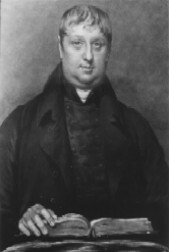 Upwards of twenty men were sent out to preach the gospel including a number who would become very well known in Strict Baptist circles such as Samuel Collins, David Irish and George Wyard. His last sermon was preached on 19 September 1847. On the following Saturday, being very unwell, a friend called to see him to whom he said “I have no clothes of my own to appear in before God but the garment of his righteousness, and have nothing to plead but the blood of his heart. I could wish the Lord would either give me strength for my work or take me home to see his face in glory.” He died on 6 Oct 1847. Anon, Memoirs of Mr John Stevens, Late Pastor of the Baptized Church at Meard’s Court, Dean Street, Soho, London 1848. Dix, Kenneth Strict and Particular: English Strict and Particular Baptists in the Nineteenth Century, Didcot 2002.